The ongoing EU-China annual summit is to focus on strengthening trade ties and expanding China’s investment into the region ahead of the leadership handover in Beijing due this fall. ­EU sources told AFP that the summit would aim to consolidate ties before the government of Chinese Premier Wen Jabao steps down. However, long standing trade disputes, diplomatic differences over the Middle East as well as fresh concerns over a territorial row between Beijing and Tokyo would be on the agenda of the summit. “The summit comes at a time of slowing global economic growth and an increasingly challenging international environment,” a European Union statement said on Wednesday. “Both sides recognize that continuing to strengthen the EU-China strategic partnership is essential to get through these difficult times,” it added. Trade between China and the EU significantly increased over the past 10 years – 280 percent in goods, 380 percent in services, according to EU data. The 27-state EU bloc is China's single largest export market while China is the EU's second largest trading partner after the United States, with total trade worth nearly 430 billion euro in 2011. 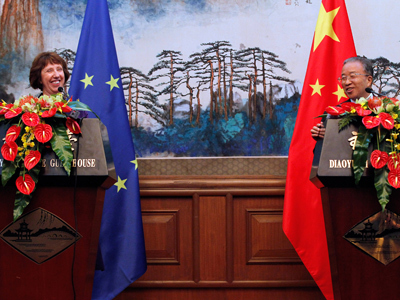 Beijing has repeatedly expressed concern about the EU debt crisis, offering help to stimulate growth in the region. Earlier Premier Wen said the country was considering purchasing bonds to support the European economy, although various Chinese agencies opposed the initiative by saying such investments were too risky. Augusto Soto from ESADE Business School believes Europe could use help of China in tackling the crisis, but the bailout is not where it is needed. “We are still expecting Chinese involvement more not supporting the bailout, but rather promoting Chinese investment here. 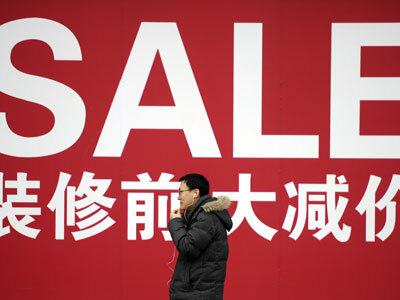 And China needs the EU, China has been experiencing the crisis in Europe – there is less demand for Chinese products,” Soto told RT. 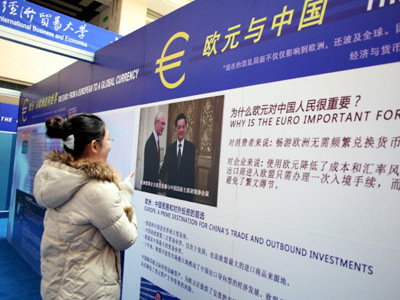 The official Xinhua News Agency said in comment that boosting direct investment in EU countries would be a better solution to the European crisis, rather than buying government bonds. The piece was published on Wednesday after Wen Jiabao left for Brussels. “Direct investment from China will no doubt promote economic growth in Europe and create jobs, increase tax income and promote research and development in Europe,” the commentary said, adding the measures would have little political resistance. China's direct investment in Europe totalled $10 billion last year, a sixth of China's total overseas investment, according to Xinhua.